The beginning of the Mycenaeans ultimately occurred when the How the Minoans fell isn’t quite clear and historians are divided between thinking that a massive volcanic eruption on one of the Cycladic islands ultimately led to the demise. However, there is some evidence to suggest that the Minoans held on for about 100 years after that historic eruption which caused the middle portion of Santorini to collapse. One thing that is clear to archaeologists and historians is that the Mycenaeans did overtake the Minoans, but whether it was through violence or simply assimilation isn’t exactly clear. One thing that is known is that the Mycenaeans began to overtake the Minoans by sea and even started to live in some of the fallen Minoan palaces. Although the Mycenaean’s rise overlapped the fall of the Minoans, the Mycenaeans were very much influenced by the legacy of the Minoans. Evidence of the Mycenaeans can be found in several parts of Greece, especially on the mainland. 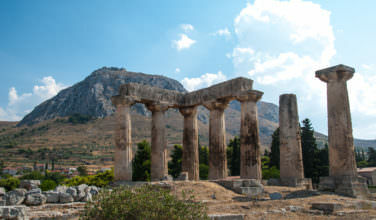 These included Mycenae, which is located about 90 kilometers away from Athens, Tiryns, a large ancient city, Pylos, located in the Peloponnese, Thebes, Midea, Gla, Orchomenos, Argos, Sparta, and Nichoria. 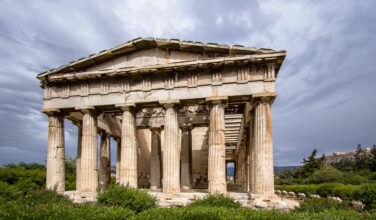 Whether or not the Mycenaean influence spread to what is now modern day Athens is under debate, but many historians do believe that they were located there, as well. In general, they lived primarily on the Peloponnese. There are several notable aspects of the Mycenaean culture that we know of. 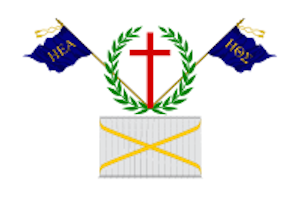 The first is that they were influenced by the Minoans and by other prominent civilizations throughout the world at the time. For instance, evidence at the Mycenaean archaeological sites shows a link between Mycenaean and Minoan pottery. They were also influenced by the Minoan language, which was referred to as Linear A. Although Linear A has never been translated, many believe that Linear B was a continuation of it. Besides that, the Mycenaeans were known to have a thriving culture all their own. They wove incredible stories of ancient heroes like Agamemnon, and the Trojan War took place during this time as well. 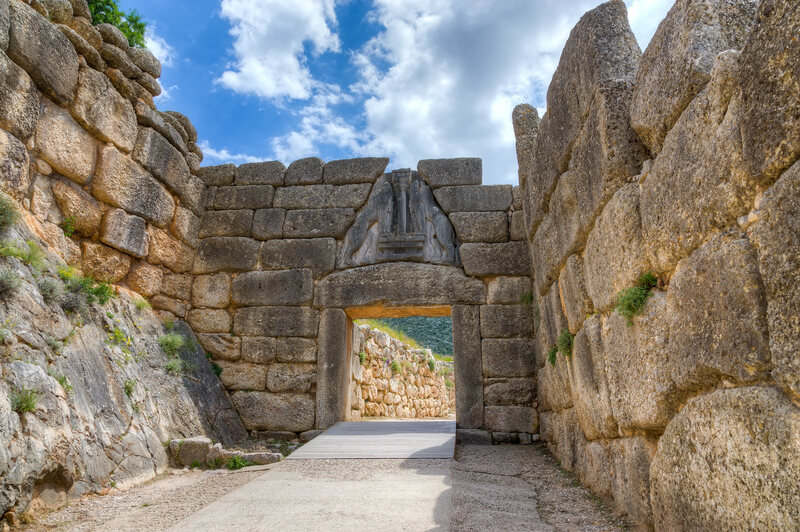 They were also known for their architecture, much of which can be viewed at the archaeological site in Mycenae. Mycenaean art was also incredibly complex and said to have been adapted from the Minoan style. 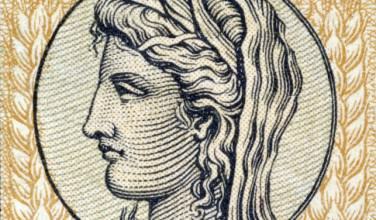 Although the Mycenaeans were influenced by the Minoans, they created a culture all their own. Many of the stories, such as the Trojan War and involving heroes like Agamemnon are still being told today.